There are several things you need to keep the pool clean. 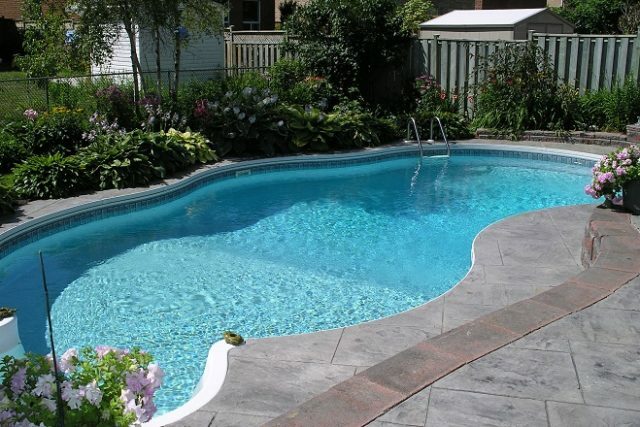 The fact is that your pool can develop and collect dirt due to different reasons. Dust particles tend to settle on the water surface after which they will move to the bottom of the pool and form mud. If the cleaning chemicals you use to maintain the water are not applied well, the pool can develop algae which will end up making the swimming unsafe. To enjoy your swimming experience, you should always ensure you use the right tools to keep the pool clean. For example, you need to remove all leaves, sand and other dirt which may collect on the water surface and in depth. Keeping the pool clean allows you to avoid skin infections among other health hazards as you use the pool. There are different types of pool cleaners on the market. You can go for a manual pool cleaner or even an automatic device. For the automatic cleaner, it will make your work easier when cleaning the pool but the price of such a device is rather high. Depending on the size of your pool and the budget, you can choose from the different pool cleaners available in the market. After you buy the pool cleaner and set it up, you need to make efforts and clean the pool on a regular basis. It will be easy always to keep the pool safe if you can make a habit of cleaning it regularly. An automated pool cleaner will make your work easy. It will remove debris among other dirt from the pool so that you can remain with a safe pool for your family members to enjoy swimming. The water in your swimming pool should be passed through a filtration system so that it can remain clean. You need to filter the water regularly to remove particles and debris. If your pool is big, then you need to run the filter for several hours to make all the water in the pool filtered. Remember even deposition of solid particles in the pool can pause safety risk. It can make the pool slippery and prone to accidents. Microbes also tend to dwell in a pool which has a lot of foreign particles. The water filter should be exchanged on a regular basis so that you can maintain a clean pool. You can apply chlorine to keep water safe in the swimming pool. If you can use the filtration system for long, then you will not need a lot of chlorine. The shelf-life of chlorine in your swimming pool water will be affected by several factors — for example the temperature and the amount of time you take to filter the water. Always ensure your pool has active chlorine to avoid cases where the pool will be affected by microbes among other microbes which can interfere with the health of your loved ones as they swim. The pool water should have the right pH, alkalinity and hardness levels to avoid cases where the water will be too harsh to your skin. To maintain the proper pH and water alkalinity level, you need to test the water regularly and apply stabilizing chemicals. You will have to buy the testing strips and apply them to test the water. It is a simple task you can easily perform because the testing strips will have different levels and color change where you can know the state of your water after you dip the strips and note the color change. Algae tend to develop in your pool water. To avoid cases where algae will end up developing in your pool water, which will make the pool water attractive to microbes, you can buy an algaecide and apply it to kill the algae. Your pool water will stay clear if you can kill the algae which lead to development of green color in your swimming pool. Application of chlorine will lead to irritation and odors in your swimming pool. To make the pool water safe, you need to shock the water from time to time. There are different brands of water shockers you can apply to keep the pool water clean. A pool skimmer will allow you to skim through the surface of the pool where you can remove any foreign particles. If there are solid particles causing problems to the swimmers, you can apply the pool skimmer to remove them. Polaris 360 vs 380 Comparison Review – nice review, about the two new pool cleaners to help you get value for your money. How I stopped my swimming pool from going green – in this video the women show how easy it is to stop your outside swimming pool from going green which is caused by algae. How Often Should You Clean a Swimming Pool? – a good article about how often you need to clean your pool so that it remains safe for you.